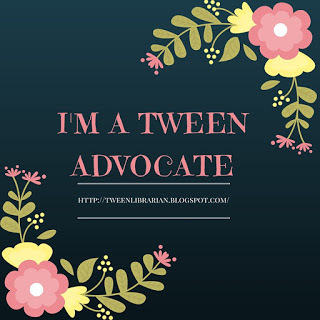 Tween Tuesday is a weekly meme where I feature great read for tweens! Add your own Tween Tuesday post in the comments. About the Book: Fifteen-year-old Emma journals about daily life in Vermont 1911 including her many adventures and a possible romance. GreenBeanTeenQueen Says: I discoverd this book when I first started working as a librarian via another tween librarian's blog. I'm so glad I found it and picked it up, because it's a very delightful book! The Unsigned Valentine is actually the third book to feature Emma, but I didn't realize that when I read it, so you can read this without being familiar with the companion books. Don't let teenage Emma fool you into thinking this book is too old for tweens. This is actually the perfect book for readers who have enjoyed the American Girl or Dear America series and are looking for something new. I also think those tween girls who have read everything about Laura Ingalls Wilder will fall in love with Emma. The premise sounds like it might be dull-who would want to read about daily life in historical Vermont? But Ms. Hurwitz does a wonderful job of making the reader feel as though they are there with Emma and you really do care about her life and what's happening around her. There's also a very sweet romance that will put a smile on your face. The Unsigned Valentine is the perfect escape to a simpler time and it's a great curl up and read in the winter book.